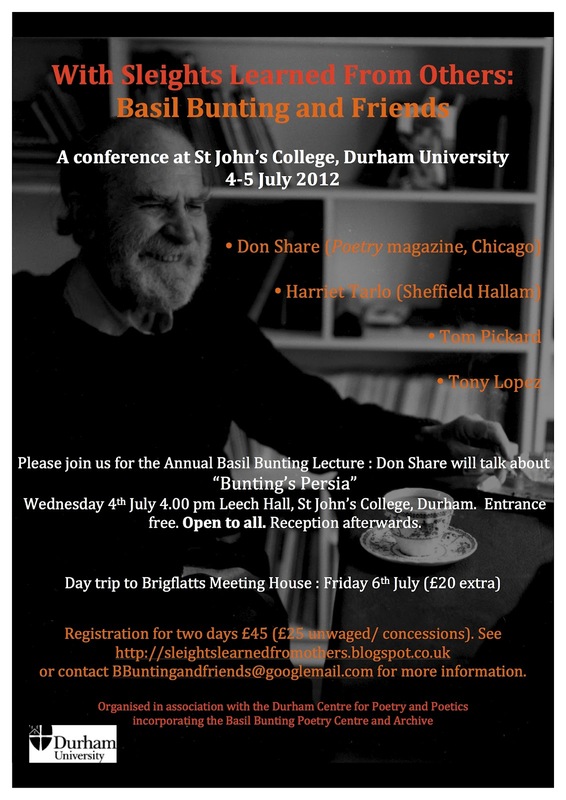 A conference at Durham University organised in association with the Durham Centre for Poetry and Poetics (including the Basil Bunting Poetry Centre). With sleights learned from others and an ear open to melodic analogies I have set down words as a musician pricks his score, not to be read in silence, but to trace in the air a pattern of sound that may sometimes, I hope, be pleasing. The Annual Basil Bunting Memorial Reading presents: Tom Pickard: a Reading and Discussion. 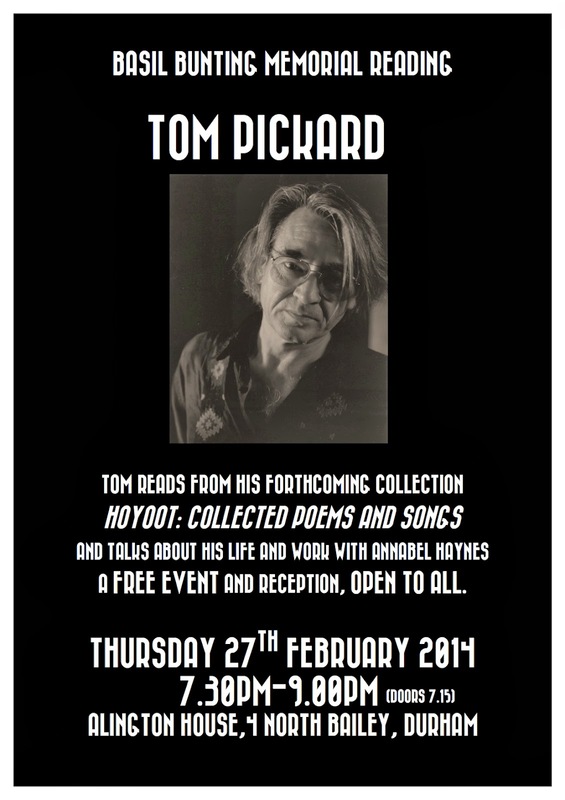 We are honoured and delighted to invite you to hear Tom read from his forthcoming collection: Hoyoot: Collected Poems and Songs and talk about his life and work with Annabel Haynes. The event, plus drinks reception, is free and open to all. Please feel welcome to spread this invitation to all who would be interested. We look forward to seeing you there. Doors open from 7.15pm, event starts 7.30pm. One of the country's greatest contemporary poets, Tom Pickard was born in Newcastle. 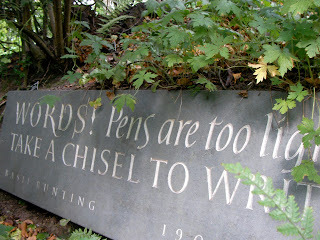 In his teens he met Basil Bunting, and encouraged him to pick up his pen again, leading to the publication of Bunting's most famous poem, Briggflatts. Tom and Connie Pickard set up the Morden Tower reading series, bookshop and performance space in Newcastle in the 1960s, where famous poets, musicians and artists from all over the world have gathered and performed ever since. Tom's first book, High on the Walls, was first published in 1967, and much work - including prose work and films - followed. His most recent work includes a folk opera collaboration with John Harle, The Ballad of Jamie Allen, which recounts the story of a notorious border character (who died in prison under Elvet Bridge); and The Dark Months of May (Flood Editions, 2004). His eagerly-awaited collected poems and songs, Hoyoot, is due out this year on Carcanet Press. A new map of the city has been published online, allowing you to 'toggle' the university buildings. Please click here to view it. Please join us for an evening of poetry at St Chad's College, Durham. The event will feature readings from Tom Pickard, Tony Lopez and Amy Evans. A wine reception will follow. From 6.30pm in The Williams Library. Free admission and all welcome. Contact John Clegg j.r.clegg@durham.ac.uk for further details. You can now access the programme of events - including the schedule for panels - on our blog under the tab 'Programme of Events' or by clicking here. Please get in contact with annabel.haynes@durham.ac.uk if you have any queries. We are getting very close to the big day(s) and we are looking forward to all of the exciting readings, papers, speeches and (now) screenings. If you you know anyone you think might be interested in coming along to the event, please pass along our promotional poster (made with thanks to the Basil Bunting archive for the photograph). You can download a version of it here, or email Annabel.haynes@durham.ac.uk for the version with original formatting. Registration has been extended and the form can be found here. Please return your forms and direct any questions to Annabel Haynes (annabel.haynes@durham.ac.uk). See the 'Programme' tab on the blog for details about the conference schedule. This conference will take place at Durham 4-5 July 2012 and seeks to examine the influences and influence of British modernist poet, Basil Bunting. The conference is organised in collaboration with the Basil Bunting poetry Centre, incorporated with the new Durham Centre for Poetry and Poetics. If you'd like to get in touch, please contact any of the co-organisers (details below).